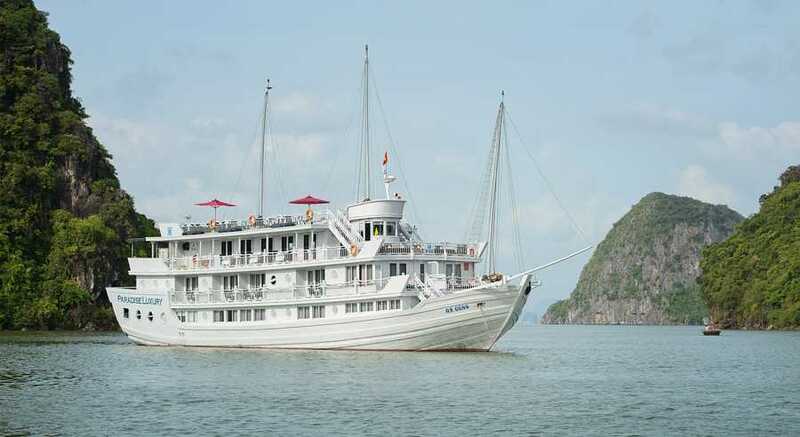 Our college alumni group went on the Paradise Luxury for an overnight tour of Halong Bay. 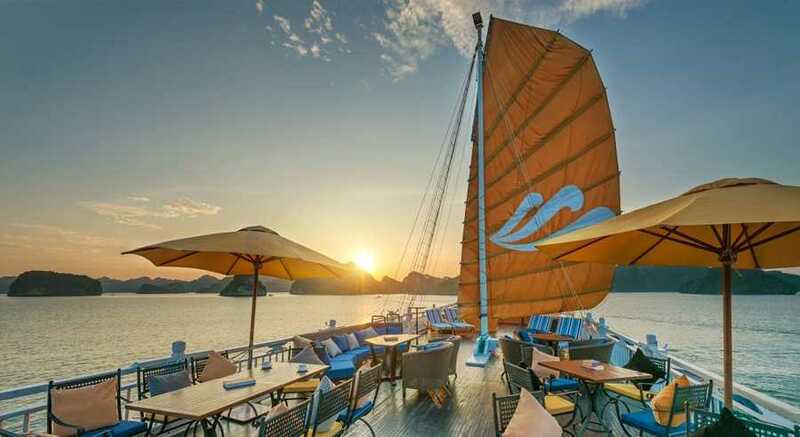 It is definitely what we see as TIME of our lives. 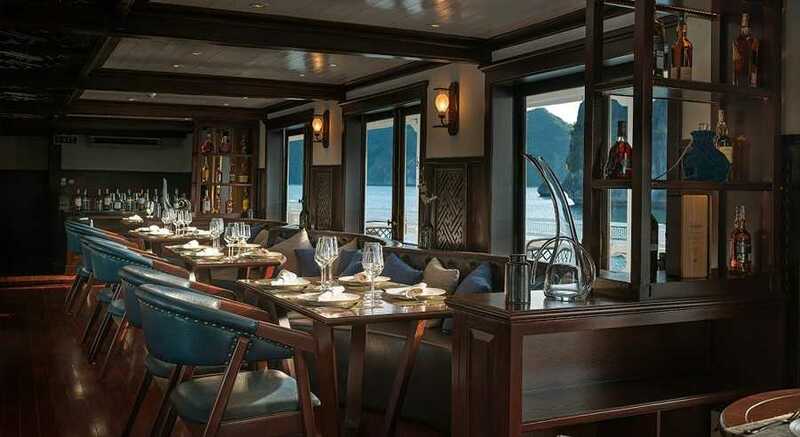 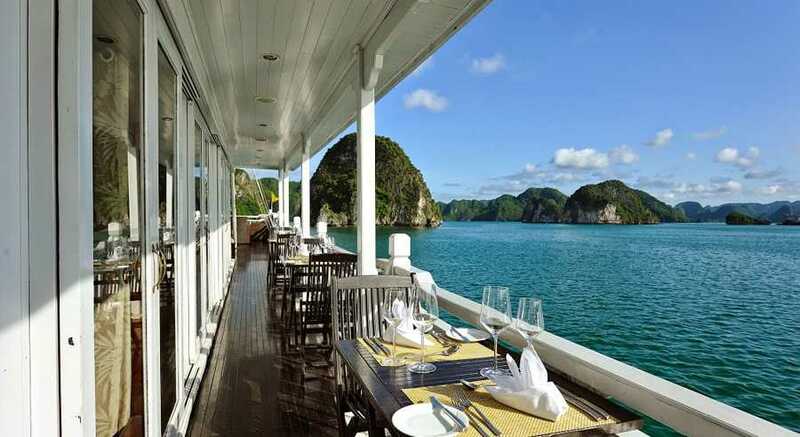 Featuring 17 lavishly decorated cabins, a cozy and stylish dining room, and a spacious sundeck with the panoramic views of Halong Bay, Paradise Luxury is an ideal choice for big groups in corporate meetings, couples who are preparing for intimate wedding ceremonies/ anniversaries, or family events. 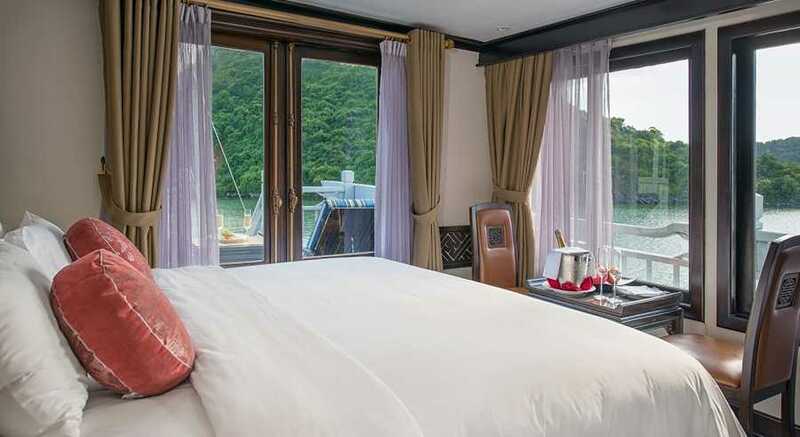 A fleet of Paradise Luxury has 4 vessels with the dimensions of 41.5m in length, 9m in width, and 11.5m in height, all can be used for charter. 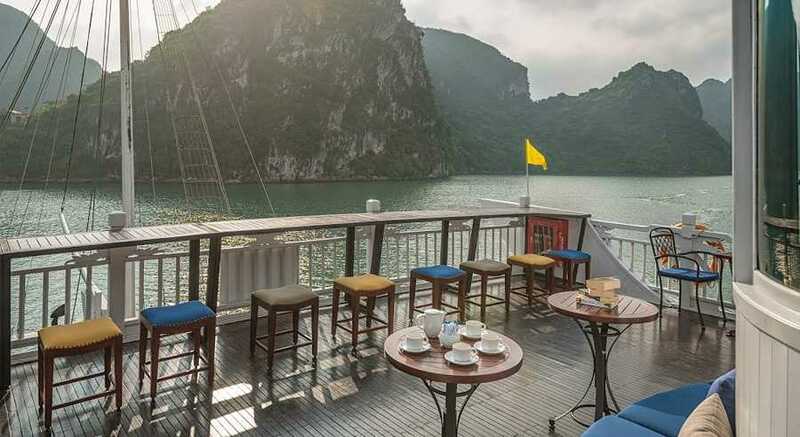 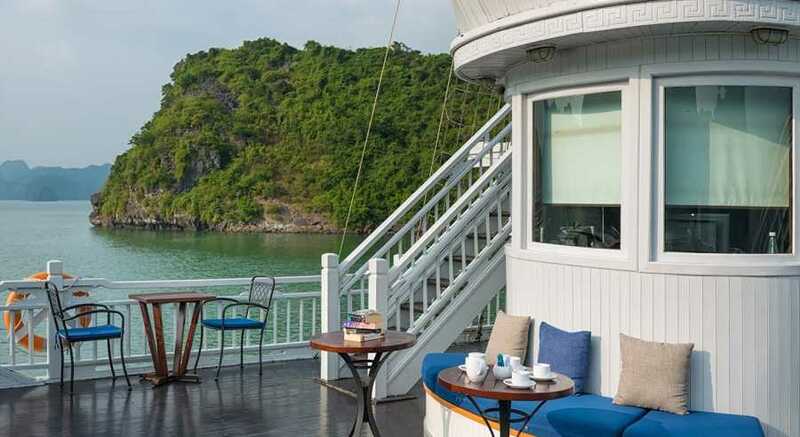 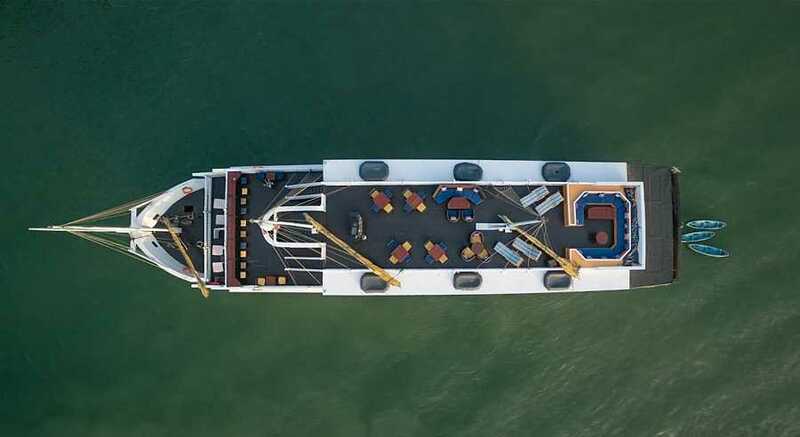 Being well-appointed with modern amenities, 17 spacious cabins (17.2 – 23 square meters) allow your colleagues, guests, or families a comfortable space to relax and enjoy the best things of Halong Bay. 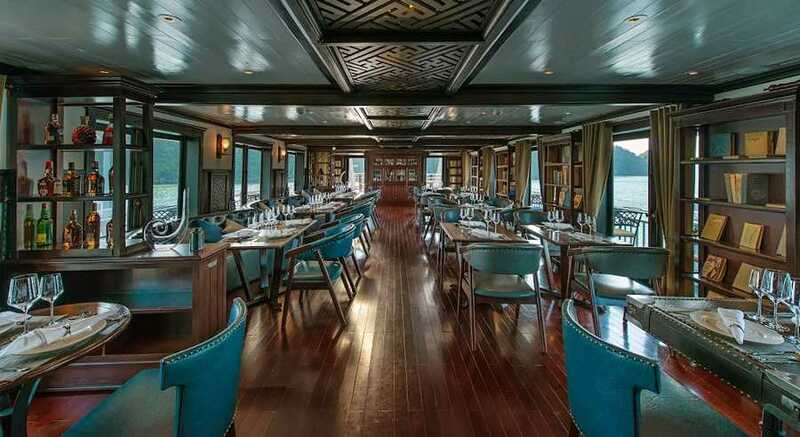 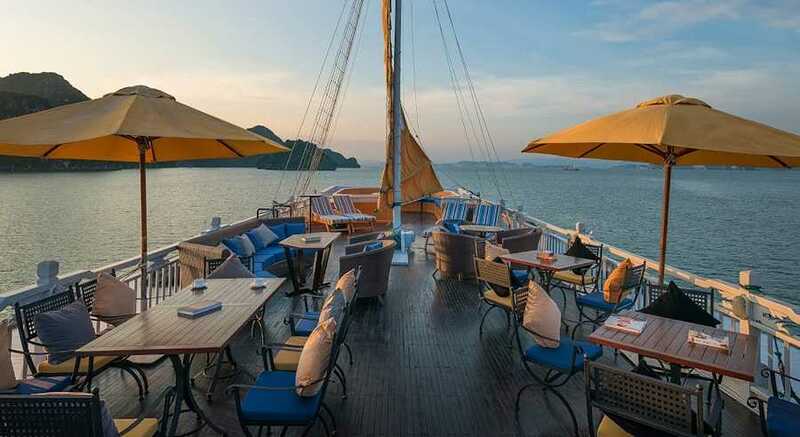 In addition, each Paradise Luxury vessel features a beautiful bar and restaurant, which are ideal for holding a luxuriously formal/ intimate party. 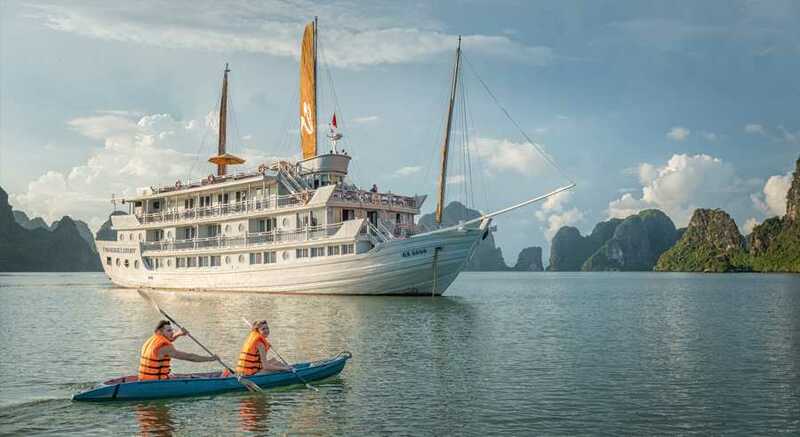 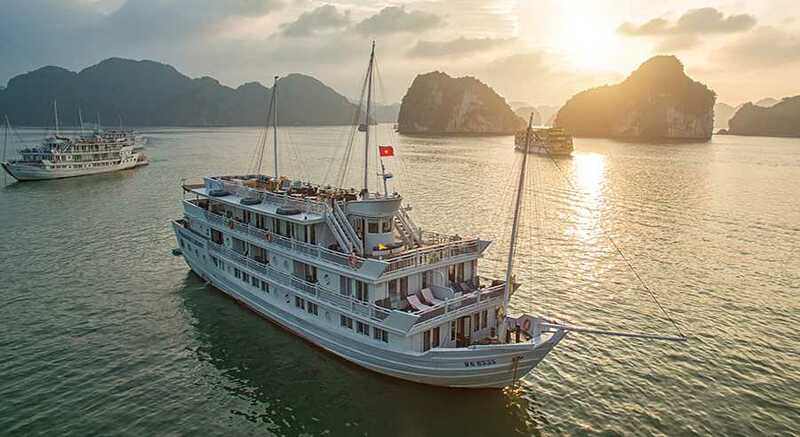 Known as one of the best cruise liners in Halong Bay, Paradise Luxury will satisfy every single guest in your group by offering the highest level of personalized services. 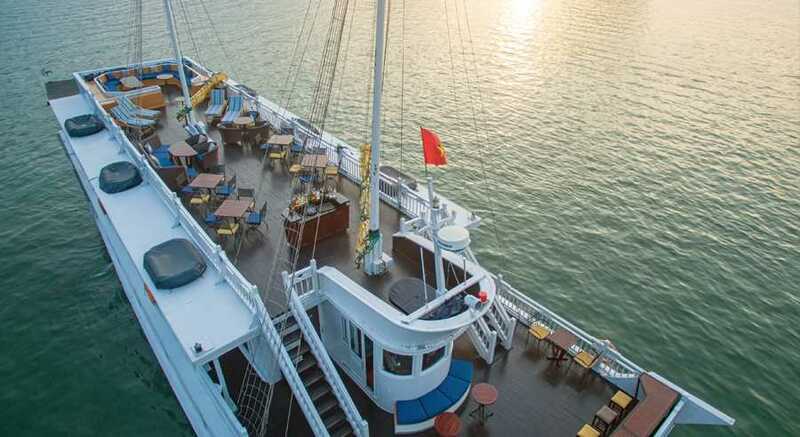 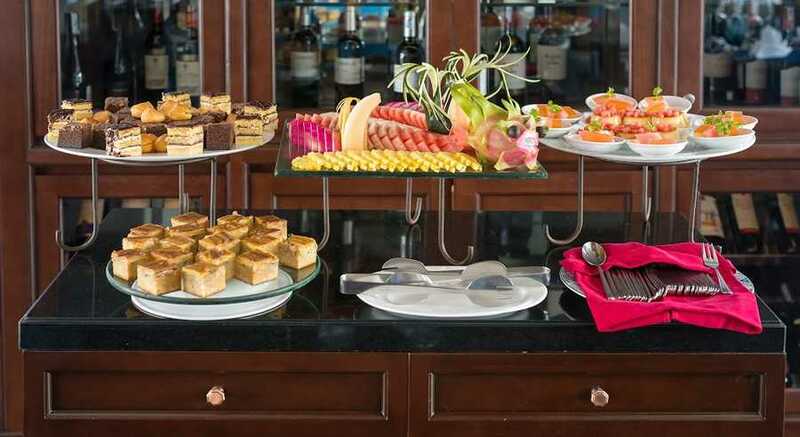 The gracious hospitability and the dedicated professionalism of well-trained staffs in Paradise Cruise will contribute to the success of your corporate meetings, wedding parties, or family gatherings. 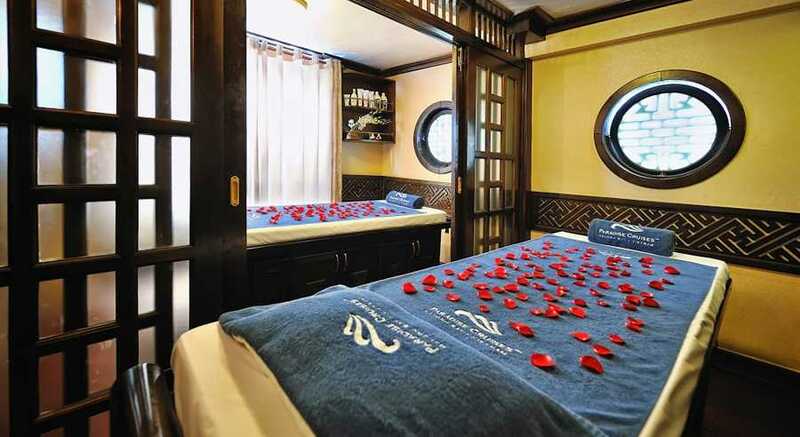 For your relaxation and convenience, Paradise Luxury Private Charter Cruise has the following facilities and activities on board.